New Delhi, Aug 22 (IANS) Prime Minister Narendra Modi on Tuesday commended Niti Aayog Vice Chairman Arvind Panagariya for his leadership and wished him the best for his future. Speaking at Niti Aayog’s “Champions of Change” programme, Modi said the nation will remember Panagariya’s service at the helm of the organisation which replaced the erstwhile Planning Commission. “He lived in America for 45 years and had no intention of coming to India with his family also settled there. But on one call from me, he came and ran the Niti Aayog for three years. The Prime Minister added that even though Panagariya was returning to the US, “yet he is working on mission mode with same dedication even today. “There is no dearth of people like him in our country and it is only through their support that we are moving ahead with the dream of a New India by 2022,” Modi said. 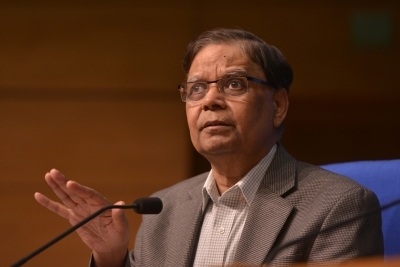 Panagariya resigned as the Niti Aayog Vice Chairman on August 1 to return to his academic job at Columbia University.